"Every bad person in the world is the hero of their own story. Aleph Worf-Sapir has spent all fourteen years of his life enduring the ravages of academic war, and he is over it. The second the Lunar University offers him a spot in an unprecedented peacekeeping effort—a student exchange program—he jumps at the opportunity. Aleph expects that he’ll have a chance to bring peace to the University Moons, stop the bloodshed, and keep his home safe. Yet nothing goes according to plan. The Prism Witches of the computing department lock him away. The Warlocks of the Gear are fighting amongst themselves. Soon after he leaves, one of Aleph’s mothers is accused of murder back on the Glottal Moon. And to top it off, Aleph finds himself falling fast for a handsome spy from their origin planet—a place more dangerous than every department in the university put together. Aleph sees solutions to every source of conflict he encounters, but no one seems to pay attention to a kid. Listen, Aleph didn’t set out to be a supervillain. But he’s quickly learning that no one’s going to pay attention to him otherwise. 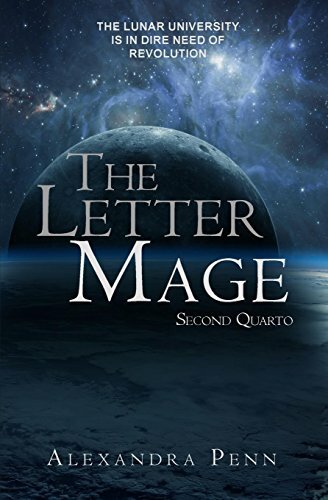 The Letter Mage is a YA space fantasy currently published on Patreon, and available in sets through Amazon, Barnes and Noble, and your local bookstores in the Quartos series. Set in a university spread across seven moons, Aleph explores the cracks in education and the mistrust between adults and children. The story continues monthly in serial installments: Patrons can pay whatever they'd like and will be charged on the first of the month following a new publication. Flash Interludes, short slice-of-life insights into the world, are published weekly for free. Quartos include all installments and Flash Interludes, as well as a few extras. Love the story? There are a number of ways to support The Letter Mage! First and foremost, leave reviews! …on Amazon and Goodreads. Reviews are the independent author’s bread and butter: the more reviews we get, the more marketing we get from those platforms. It’s better than any advertising we could buy. It doesn’t have to be 5 stars. It doesn’t have to be any longer than “I liked it” or “I hated it" or even “this book made me hate potatoes”. Just leave something! If you’d like to become an Advance Review Copy reader, check out the ARC section. ARC readers get the books early, and leave reviews ASAP when the book is released—or post early-access reviews on social media and on websites. This helps build visibility and excitement, and is a HUGE help to authors. 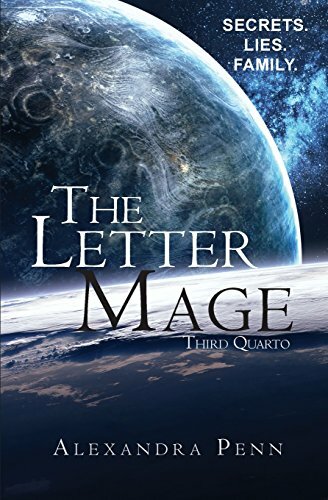 Request The Letter Mage. Request it at your local libraries, at your kid’s school libraries, at your local bookstores. We get on the shelves through your word. Tell your friends. Tell your local teachers. Tell your friends to tell their friends. Like reviews, word of mouth is advertising that we as authors cannot buy, and it’s the absolute gold standard of marketing. 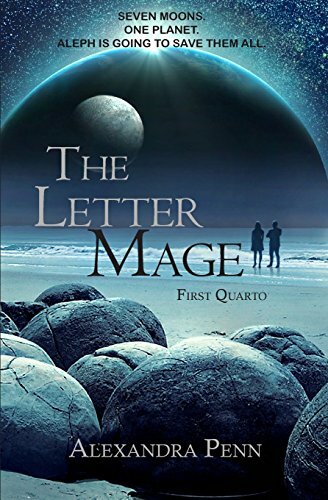 If you’re on social media, use the hashtag #TheLetterMage to get the conversation flowing! Also feel free to tag Alexandra Penn on Reddit: she goes by /u/AlexPenname. Buy The Letter Mage merch on Teespring, and check out the multiple tiers on Patreon! Patrons have access to early installments, paintings, and other amazing behind-the-scenes stuff. There are a number of ways to read The Letter Mage. Purchase the Quartos series through Amazon, read installments as they are published through Patreon, or put in an order in person at your local bookstore. Patreon support includes a full installment once a month, and a Flash Interlude once a week. All Patrons have complete access to the whole story, no matter how much you pay to support. Minimum payment is $1. ARC readers receive books before anyone else—by several weeks! I get my ARC readers through my mailing list, and only my mailing list (at least for now), so if you’re interested in free copies now’s the time to subscribe. When I need ARC readers, I’ll put out a call through the newsletter, and add you to my ARC list if you express interest. Remember: in exchange for a free e-copy, ARC readers are expected to review the book on launch day, on both Amazon and Goodreads. If you have a blog or site on which to post a review early, just let me know—I love the early buzz—but other than that please do not redistribute your ARC copies. Early distribution can do irreversible damage to indie authors. Please don’t pirate my books—but if you’re going to, do it after launch day.